Moulded and consecrated in BE2545. 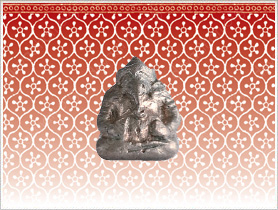 Contains centuries old roof-top tiles from the 3 shrines dedicated to Lord Ganesha, Lord Siva and Lord Vishnu! 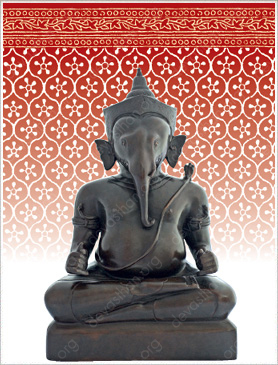 Upcoming batch of Phra Pikanet images and miniature statues. 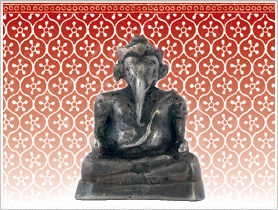 Sharing an upcoming batch of Phra Pikanet images and miniature statues. Since the first batch of Phra Pikanet statues were launched in B.E.2530, after 20 over years, the Brahmin Chapel will be releasing the 2nd batch of Phra Pikanet statues for donation towards restoration and maintenance of the Shrines. The Shrines are undergoing extensive renovation and will be officially open in BE2556 upon the Royal Permission of HM King Bhumipol Adulyadej. Please note that the administrative office at the Brahmin Chapel does not take orders. Booking or orders can only be done at Bangkok Bank in Thailand! Last edited by Maha Phrom; 18-08-2012 at 02:03.
bro, sry i have nv been to the Brahmin Chapel, can advise how can i travel there? All times are GMT +8. The time now is 04:05.